Nevada is rich with turquoise mines. From small hat mines like the X-15 prospect and the Lander Blue to the larger producers like the Blue Gem, Lone Mountain, Nevada Blue, Easter Blue, Candelaria and the Indian Mountain mine. 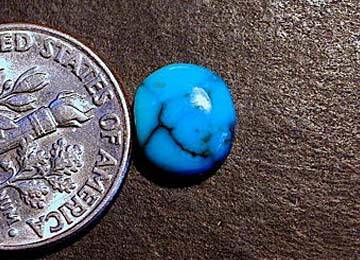 Here we offer cabochons from a number of different Nevada turquoise mines.